As Frostcat finally regains consciousness could only see the spiritual fox looking down upon him. "You're.....okay" he spoke faintly. "Indeed" the white kitsune answered "But you my friend are not. The dark spirit you know as Mephlies has damaged your mind and spirit after protecting me. Your body has been fully frozen and should you fade, I'm afraid you be lost from this world forever." As his spiritual aura begins to greatly manifest, Poji has retained an aquamarine gem holding it over the struggling feline. "With this gem, it will remove the evil spirit from within you. Although you will retain your true power, your life as you know it will change." ........ "Are you willing to go through with this?" the kitsune asks. "Yes." the ice warrior replied "Whatever it takes, I will see it through." "Close your eyes Frost, and prepare." As the energy begins to transfer to the gem, Poji then spoke "I will say, it is my honor to finally see you...lost prince of Utopious." I seriously can't believe the sheer epicness that Amuzoreh has made. 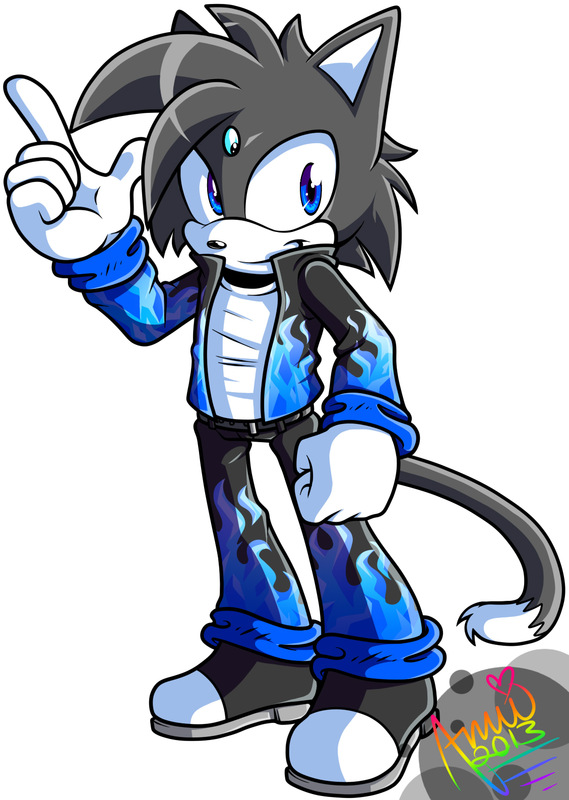 I seriously like the very first rendition of Frostcat the most. The other versions are of me are of my original colors except for the added jewel and flames. I was wondering, which of these versions would you prefer? Just keep in mind that I still have plans for my original character. The new version won't happen until later. Or if I have plans for him in future commissions.